Providence Music Works PMW 10002 (1996) If you?re tired of the gushing sentimentality of most commercial holiday music and looking for something that acknowledges the loneliness and hard times that some people feel amid the Christmas cheer, you?ll like the alternative views expressed in this singer/songwriter collection from a new Rhode Island label. While a couple of the 20 tracks are a little too earnest, there?s some evocative music here, like Ratsy?s ?If You?re Not Dead,? a charmingly sad account of romantic disappointment at holiday time, and Bob Franke?s quietly spiritual ?Straw Against The Chill.? It?s not all serious, either ? there?s a sly country blues called ?Jesus Don?t ?Kleck No Tax, Wassail? 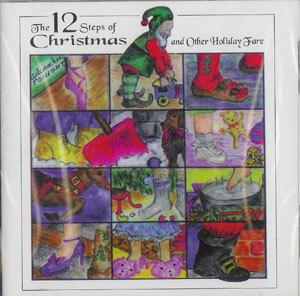 by the Folk Support Group, and the title track by Jon Campbell should bring a knowing laugh from anyone familiar with 12-step recovery programs.